Here at BlockCBlog.com we recently had an opportunity to catch up with Heath Cline and ask him a few questions about the upcoming football season, as well as how soon he envisions Frank Martin turning the basketball team around. Heath offers great insight to all of our questions and find out who he thinks could surprise us all on the field in 2013. 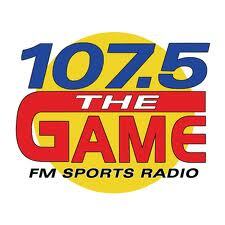 You can listen live to Heath Cline and Michael Haney during “The Afternoon Drive” weekdays on 107.5 The Game from 3 until 6 p.m. for the latest Gamecock news and updates. BCB: After following the SEC since 1994 from a journalism standpoint, who would you say as a player stands out the most to you over the years as an SEC great? HC: It's hard not to pick Tim Tebow. He's not the best player of the past two decades, but his impact was unlike anything we've really seen before. He led his team to one BCS title, played a significant role in another, won the Heisman and even now is still a uniquely polarizing figure. For a single season it's Cam Newton, and the best SEC player I've ever seen in person remains Bo Jackson even though that's when I was a kid. Jadeveon Clowney puts himself in this conversation if he has the kind of season he's potentially capable of - never seen anything like him physically. BCB: Who is one player that you think will shock the fans and have a monster year for the Gamecocks in 2013? HC: Chaz Sutton probably won't see a double team at any point all season thanks to teams trying to account for Clowney, but he's got the tools to have a terrific year in his own right. If he stays healthy, he'll have a great season. BCB: How close do you think the Gamecocks are to winning the SEC? HC: They're close enough to accomplish it, and unlike last season the schedule isn't set up in a way to seriously impair their chances of success. There's no reason they can't get to Atlanta, and once it's a one game situation it becomes all about the match-ups and health. If they get a shot at Bama, it would be fascinating to watch Spurrier work against Saban's D with his ultimate goal on the line. Saban beat him in 2009 when SC's offense simply lacked enough weapons to win, but even then there were opportunities to make plays. In 2001 Spurrier's UF team put a humiliation on LSU that might have been the most dominant day of passing anyone's ever had against a Saban D ( http://www.lsusports.net/src/data/lsu/assets/docs/fb/01stats/ls04.htm ) - if they hadn't put the backups in and run the ball more they could've gone for 700 yards. I'm pretty sure every Gamecock fan remembers what happened the last time Spurrier and Saban squared off. The HBC understands how to attack Saban's D as well as anybody in the country, and now he could go at them with both a mobile QB and a drop back passer. I'd love to see this matchup happen, and if it does there's a really good chance I'd be picking the guy in the visor. BCB: What is it like interviewing an character like Spurrier? Describe a funny moment you two have had together while interviewing him. HC: With Spurrier you just have to be prepared for anything, from him being angry to him asking you trivia questions for 100 dollars. Never ever turn the mic off or take it away until he's well out of range and definitely hasn't turned around to add one more thing, something he does more often than Columbo. Funniest moment for me was at the SEC meetings in Destin during Lane Kiffin's one year in the SEC. A Gamecock player had been arrested, and I needed to get a comment from Spurrier on what his status was going to be as well as anything else he was willing to discuss. After the coaches got out of a meeting in a roped off area of the hotel, Spurrier came over to the rope and began answering questions from a couple of us. Meanwhile other coaches came behind him, Kiffin included, waiting for an elevator to take them up to their rooms. When it was brought up to Spurrier that Kiffin had suggested Spurrier should apologize to him, he whirled around and began slicing and dicing Kiffin (whose expression resembled a mouse thrown in the cage with a boa constrictor). (http://www.gatorsports.com/article/20090529/ARTICLES/905299954 ) Watching Kiffin keep swallowing and pressing the elevator button was outstanding. BCB: What do you think of Frank Martin's coaching style? Where do you see the basketball program going in the next few years? HC: Frank Martin is a perfect fit for what South Carolina needs. This program isn't going to be able to depend on recruiting highly rated talent for the next few years unless it's a guy with in state ties like Sindarius Thornwell, and even though there's a better crop of instate talent in the next couple of classes than there has been the past few years you can't get by with just SC kids. Martin knows how to find kids that fit his style, and he recruited them to a Kansas State campus in the middle of nowhere. If he could do that, he certainly can get them to come to Columbia. People will have get used to there being a burn rate on kids - not every guy who signs to play for Martin is going to be able to handle how demanding and intense he is - but within the next couple of years he'll find 8-9 guys who get it. When he does, consistent success will follow. BCB: In your years of covering sports and teams, where would you rank the passion Gamecock fans have for Gamecock athletics'? HC: There are times when it's as intense and as passionate as anywhere in the country. Taking calls from people in the days after the first baseball championship, you could tell how many of them were almost dazed in dealing with the idea something good had finally happened for them as fans and how much it meant to them. There's clearly a significant level of passion in the Gamecock fanbase or 107.5 the Game wouldn't have the ratings we do. On the other hand, there's no ignoring that fans have basically ignored basketball for the better part of the last three years, which has been strange. Even when I arrived here in the midst of an unsuccessful 07-08 hoops season people still regularly called/emailed to discuss the games and showed up in pretty good numbers. Especially after the recent coaching change, I was surprised how little zeal there was for this season. There were plenty of games where no one reacted at all. Steve Spurrier himself pointed out the number of fans who lately appear to place a higher priority on tailgating than being in the stadium for full football games. I'll never presume to tell people what to do with tickets they spent their hard earned money for, but it does seem like something has changed with at least a portion of the fans over the last few years. BCB: Have you ever done any play by play and who would you say is the greatest play by play man in all of sports? Favorite call or play by them? BCB: How big of a rivalry is the Carolina/Clemson rivalry in your opinion and why do you think it doesn't get the national respect it deserves as being one of the best rivalries in College Football? HC: Two things have held the rivalry back from getting national attention - when it's played and the teams not having been consistently good enough. If the game was in September, it would have stood out a lot more than it does on a day when it's up against games like Bama-Auburn, UF-FSU, Ohio State-Michigan and countless other instate/regional rivalry battles. If you aren't associated with this state, it gets lost in the shuffle. What can elevate its stature is for the two teams to continue their recent success and have someone get to the game undefeated or in position for a playoff slot with a win. UF-FSU was unimportant nationally until Spurrier got UF going, then it became the most important rivalry in the country between 1993-2000. Whoever won that game was either playing for the crystal football or denying the other one the chance to do that. Even though its yearly importance has dropped off since then, once it attracted that attention it became a big enough deal that it's still on the national radar. Carolina/Clemson's getting closer, but it hasn't had that "must see" game for an unaffiliated guy in Phoenix or Chicago yet. If Boyd and Clowney are both Heisman candidates when the teams meet up this season, maybe this is the year. BCB: At 107.5 The Game, who is the biggest Gamecock fan on staff and why? HC: Can't really choose between Jay Philips and Tommy Moody on this one. Jay does his best to be logical in his analysis and not let his fan side overwhelm reason, but he also doesn't sit in the press box during the game. He wants to be out in the crowd and able to cheer. Tommy not only played baseball for the Gamecocks, but has a working knowledge of the program's history for decades. You wouldn't believe the magazines he might have on his desk any random day - who else has a Street and Smith's with Todd Ellis on the cover he's been sitting around reading in the year 2013? BCB: Do you think a two quarterback system will work in 2013? HC: I don't think they're looking to have a true two QB system at the moment. That's not to say Thompson won't get the chance to play meaningful snaps this year, but I think fans view this as a 1A and 1B thing now and that's not the impression I get from talking to the coaches at all. Shaw is still their main guy, particularly if he can be healthy going into the season and stay that way for more than a quarter. Considering Spurrier's previously demonstrated willingness to rotate QBs by play, series, quarter or based on the phases of the moon, anything is possible of course. BCB: How hard is to prepare for an on air interview and have you ever done one on the fly? HC: I generally spend between 8-12 hours per day reading to prepare for the show. Anyone I have on as a guest is likely to be related in some way to some portion of that material I've been working on, so I can't really think of a time I specifically prepared just for an interview. If you know a few basic facts, you should be able to talk to anyone though. The key is paying attention to what they say and not being focused on a laundry list of questions - see where their responses take you, while having a general idea where you want to go heading into the conversation. BCB: How do you think the Bucs' will do in the NFL next season? HC: The Bucs have a mediocre head coach who never even won the Big East as Rutgers, a mediocre QB who never has shown consistently good decision making in college or the NFL despite his obvious talent, and mediocre CBs who can't deal with high quality NFL receivers. I'm guessing 6-10, give or take a game or so. No way they're a playoff team coming out of that division.